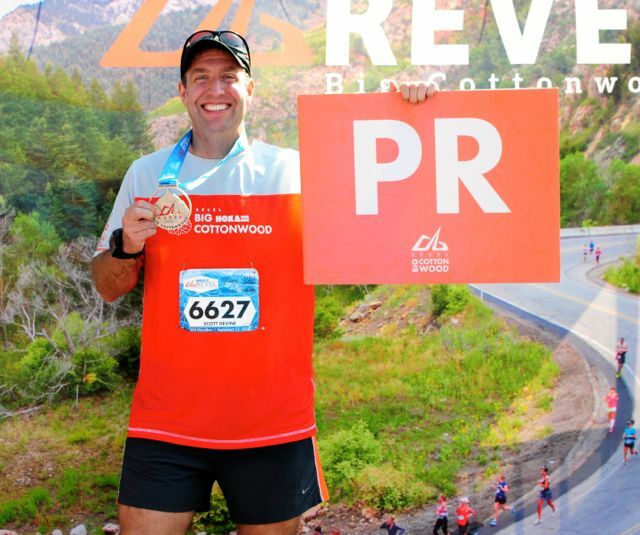 The REVEL Big Cottonwood race is a well-known downhill course that promises really fast times. Depending on your race choice (half or full marathon) participants can expect a decline in excess of 3000′- 4000′ during the race. In the weeks leading up to the race, I checked out the race website to see if they had any pointers. And they did have a nice section on training specifically for a downhill race. You can check it out here (Big Cottonwood Training). I took their advice about not worrying about the altitude; I made sure to hydrate properly and I even did a little hill work training to prep myself for the declines. And I indeed ran my fastest race ever. I felt like a million bucks afterward. I even got a free post-race massage and wore my compression socks on the flight home. I slept soundly that night (probably dreaming about one day BQ’ing or some other running fantasy). I woke up the next morning, went to stand and fell right back into bed. To say my legs were sore was like saying the ocean is damp. 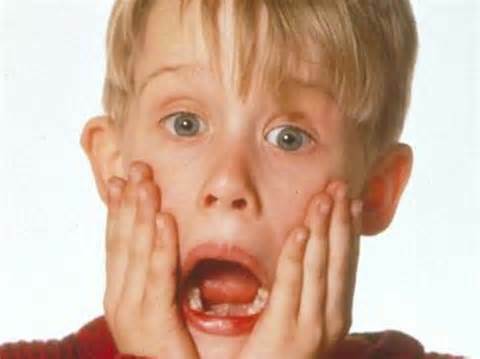 I think my quads and calves had gone on strike… or worse yet, perhaps were even planning a full-on mutiny. I’ve been running for five years now and I don’t think my legs had ever been quite that sore… and I’ve had some uber-sore legs after races before. Saturday I had run down a mountain. Sunday, I could barely navigate the stairs. Each baby step down the stairs was followed by an expletive. I could have filled up an entire Costco-sized swear jar with the profanity that came out of my mouth in those first sixty seconds alone. For rest of Sunday… and Monday… and Tuesday… and Wednesday, I walked around like Robocop breaking in his new legs from Omni Consumer Products (OCP). The funny thing is, come Tuesday I was actually able to walk up stairs and hills without too much effort. Going down was another matter entirely. I’m finally getting back to normal (after 5 days) and moving like a human being. I even hit the gym this morning for some treadmill work. Fortunately, my legs seem to work again. Duh, run some more hills. 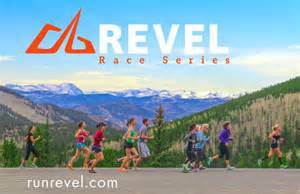 My next several races are basically flat courses and I don’t have another “downhill” race until the REVEL Canyon City Half Marathon in mid-November. 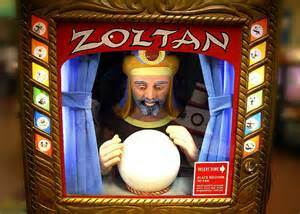 But let’s just say I don’t need the Zoltan fortune teller machine to let me know that there is some serious hill training in my future. Whether you go uphill, downhill or keep it flat… Run on! Posted on September 18, 2014, in General and tagged Downhill racing, humble pie, Revel Big Cottonwood. Bookmark the permalink. 6 Comments. I was shocked at how much my legs hurt (and I’ve heard from so many fellow runners who mirrored that sentiment). Fortunately, the Canyon City Half isn’t quite as steep as Big Cottonwood, so it shouldn’t be as tough (the full is a big decline). 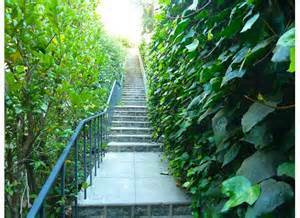 But yes, I strongly recommend hill work or exercising the quads. Your legs will thank you. Glad to hear you are feeling better. It took days for me, too. Still not 100%. Same here… feeling much better, but still a tad sore. My run on the treadmill was only about 2 miles (and I also did some walking). I’ll finally give them a proper shakedown on Saturday’s long run (probably 10 miles… slowly). I ran the marathon and took it easy on the downhill because I’ve been warned about the soreness days afterwards. HA! Taking it easy helped none! Wednesday I could finally get off the toilet unassisted. Today, Thursday, I can finally walk without any pain going up and down the stairs. Downhill running is note something to take lightly! It is surprising how much of a toll that downhill took on everyone. But what a helluva race. Did you get your pictures and put in for your video yet?